ST FRANCIS COURT is located at 90 SAINT FRANCIS ROAD in district 12 (Novena, Thomson, Toa Payoh) of Singapore. 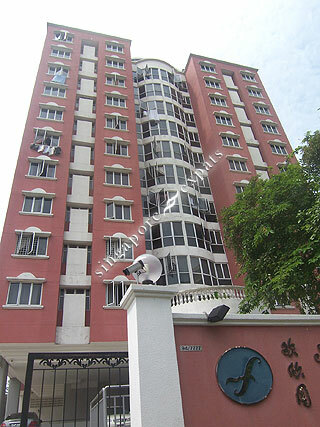 ST FRANCIS COURT is a 99-year Leasehold Condo development consisting of 71 units. ST FRANCIS COURT is completed / TOP in 1994 (estimated), developed by DELIGHT DEVELOPMENT PTE LTD.
Educational institutions like GLOBAL INDIAN INTERNATIONAL SCHOOL, STAMFORD AMERICAN INTERNATIONAL SCHOOL, ST JOSEPH INSTITUTIONAL INTERNATIONAL, BENDEMEER PRIMARY SCHOOL, HONG WEN SCHOOL and ST. ANDREW'S JUNIOR SCHOOL are near to ST FRANCIS COURT. ST FRANCIS COURT is accessible via nearby BOON KENG, GEYLANG BAHRU and POTONG PASIR MRT Stations. convenient as this project is located just outside town.